Big Question: Is election tampering happening in the Missouri primary? What would you think if we decided to let people from Illinois vote in our elections and “help” us choose our elected officials? How would you feel if the person for whom you voted lost their election because 20% of Illinois voters decided to cast their votes in Missouri state as opposed to their own? It sure seems like election tampering to me and I don’t believe any of you would put up with that. Take an issue that is even more personal, like abortion. As much as I disagree with Planned Parenthood, I do not believe they should be forced to allow pro-life organizations to help them choose their president. And it goes without saying that we would be angry if pro-life organizations were forced to allow Planned Parenthood to help choose their leadership. What many people fail to realize is that when you have an open primary system, like Missouri currently does, this is basically what happens. 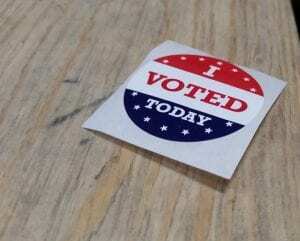 It’s not uncommon in our state for Democrats to take a Republican primary ballot for the sole purpose of voting for a Republican candidate they believe will be an easier opponent for the Democrat candidate in the general election. There have also been instances where Republicans have taken Democrat ballots as well. This should not be the case. One thing upon which all Missourians should be able to agree is that both Democrats and Republicans should able to choose their nominee without interference from the other party. Fourteen states have closed primaries including Delaware, Florida, Kansas, Kentucky, Louisiana, Maine, Maryland, Nebraska, New Jersey, New Mexico, New York, Pennsylvania, Oregon and Wyoming. It’s time for Missouri to join the ranks. This is exactly why I have proposed Senate Bill 109. Under Current law: Each primary election voters are entitled to pick any ballot among the various established political parties, regardless of their political party affiliation or unaffiliation. This act stipulates that voters are only entitled to cast a ballot in the primary of the political party with which they are affiliated according to their voter registration. What SB 109 will do is very simple. It will require voters, when they register, to choose whether they would like to be affiliated with an established political party. They must make their decision before any candidates have filed to run for election in Missouri. This will further discourage tampering in the primary elections. In addition, if a person wants to run for office the deadline is moved up six months. The reason for this is we want a person to be a declared member of that party for more than just a few days before they decide to run for office as a member of that party. I believe that these reforms are common sense which is why I’m asking for your support for SB 109.